Located to the north of Manali and at the western side of the river Beas stands Mt. Hanuman Tibba, with a pyramid shaped dome the mountain stands at a height of 5932 meters. This captivating mountain has a giant north face, flutter walls, rocky cliffs and icy faces. The traditional route of Mt. Hanuman Tibba is from Solang Nullah. Lake Beas Kund (3540 m) is the best place for the Base Camp of Expedition. From here one can clearly see the next tough route of Tentu Pass (4996 m). The next camp is usually sets up in the Tentu Pass. Tentu Pass is the mixture of snow, ice and rock with the gradient up to 75° to 80°, which makes the climb difficult and exhaustive. After Tentu Pass a traverse to the mountain leads us from North – West ridge to South – East ridge. During this traverse climber has to face lots of crevasses in the glacier. At the end of traverse just before the South – East ridge we will set up our summit camp. The last phase of climb is from Summit Camp to summit which includes the climb of South- West face which later meets the South- West ridge and finally summit. Day 1: Reception at Kullu-Manali airport/ bus stand by team arrival at our camp site/ cottage. Rest after refreshment explore Manali dinner and stay at ‘dA Base’, Haripur, Manali. Day 4: Day for acclimation overnight at camp 1 Beas kund. Day 7: Camp 3 to summit – back to camp 3 - overnight stay at camp3. Day 10: base camp to Dhundi , to dA Base. Overnight stay at dA Base in Manali. Day 11: Drop to Kullu – Manali airport by 7:00 am. If travelling by bus, spend the day at leisure, go angling in the river Beas (some nice spots near our base) or just unwind and relax. Drop to bus stand by 4 pm. 2 nights stay at ‘dA Base’ located in an orchard in Haripur, Manali. Stay in 2-3 men tents during trek. ‘Leave No Traces’ protocol charges. Nominal cost for bonfire, barbeque and all meals at our base in Haripur (choice of veg/ non-veg). Visit to IMF in Delhi mandatory for foreign nationals to get the necessary documentation & permissions. After the expedition/ adventure journey - de briefing in Manali. Insurance: It is a condition of joining our trips that you must be adequately insured. All persons are expected to arrange their own insurance. Polices should cover any potential risks involved in such adventure. Our camps and Cottage: We provide you very comfortable tents with maximum possible facilities in the mountains. For the trekking, Jeep Safaris, MTB and other adventure journeys, we provide the most luxurious camps fitted with dining areas and modern toilet facilities. Maps: We have excellent maps, images and movies of majority of our adventure expeditions/ journeys and sports. A short briefing in our offices is highly recommended so the team understands logistics, forecast problems and know where the solutions would be. We stress on planning, planning and planning in any adventure expedition and till now we have remained successful in all of our expeditions just because of our planning. So we need you to be an active part of it. Rescue and Helicopter Evacuation: if the expeditions are well planned, rescue operations can be avoided. For any helicopter rescue operations, normally the expenditure for these operations is paid by the insurance companies if the guest is insured. But Guest taking this adventure tour must be covered under travel insurance and the insurance should also include adventure travel and repatriation by a helicopter. 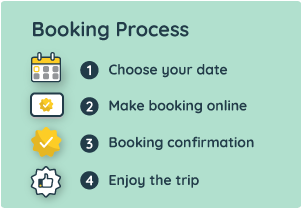 Peak booking formalities: For necessary applications either you can check the website of IMF or speak to us. Ground transportation: We provide the ground transportation comprising of best available cars/ coaches in fine roads and rough trucks in remote areas of the Indian mountains. Porters and ponies: We provide ponies till base camp and HAP/ LAPs as per the requirement of the expedition. Fuel and gases: Fuel (after BC) is not a part of cost included section, but we will manage Butane / Butane propane gases for you on your timely request. Meals: We offer a mixture of nutritious vegetarian and non-vegetarian food. Ground Support system: We have fantastic ground support system developed in collaboration with the local people of nearest villages, army camps, porters and local guides. Our BC staff is trained to keep information of the groups at ABC and between and act as per the situation. How fit should I be in order to join the expedition?